At Medlin Mazda, we hear all the time from customers and drivers how difficult the car-buying process can be. There are just so many options to choose from, especially when it comes to compact sedans, that it can be almost overwhelming! With so many choices in the compact sedan class, trying to sift through them all to figure out which offers the best value can be exhausting. But, that’s why we’re here to help! We here at Medlin Mazda truly believe that Mazda vehicles offer drivers the best value available, no matter the class. And, we’re not afraid to put that to the test with our model comparisons! 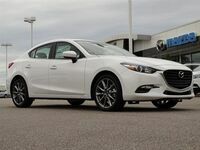 For these comparisons, we compare Mazda models against their toughest competitors so that drivers can see how Mazda vehicles stack up against the competition. For this comparison, we’re going to be looking at the 2018 Mazda3 and 2018 Toyota Corolla, two of the most popular compact sedans available today. We’re going to compare their efficiency, performance and affordability to see which model offers more value. Let’s see who comes out on top! When you look at the key model information for both the 2018 Mazda3 and 2018 Toyota Corolla, it’s not hard to figure out why both are so popular among drivers! Both compact sedans offer what drivers are looking for in the segment, affordability, efficiency and performance. 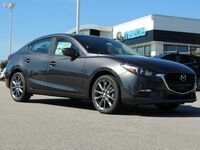 However, when you look at the two side-by-side, it’s easy to see that the 2018 Mazda3 is the super compact sedan model. When it comes to fuel efficiency, the 2018 Toyota Corolla holds a slight edge, there’s no disputing that. 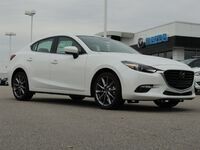 However, when you look at the other categories, drivers understand that the 2018 Mazda3, as a whole vehicle, still offers better value. For starters, it’s more affordable than the 2018 Toyota Corolla with its lower starting MSRP. Then, it also offers substantially performance in the way of horsepower and torque. With those other categories in mind, it’s almost more impressive that the 2018 Mazda3 is able to offer such incredible efficiency that’s nearly as good as the 2018 Toyota Corolla while generating so much more power. 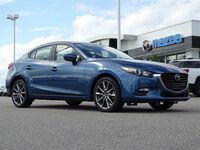 Efficient, powerful and affordable, the 2018 Mazda3 is a truly well-rounded compact sedan! Want to learn more about the 2018 Mazda3? Ready to get behind the wheel of one to try for yourself? Contact our staff at Medlin Mazda in Wilson, North Carolina, for more information or to schedule a test drive today!